Dec. 16: The Cubs have announced the signing. Mark Gonzales of the Chicago Tribune reports that the two-year deal is worth $13MM. Chris Cotillo of MLB Daily Dish adds that the deal includes up to $1MM in performance escalators based on appearances. Dec. 14: The Cubs have agreed to terms with righty Steve Cishek, according to Ken Rosenthal of The Athletic (via Twitter). Once he passes a physical, the Jet Sports Management client is expected to receive a two-year deal worth somewhere in the range of $12MM to $14MM, per ESPN.com’s Jerry Crasnick (via Twitter). Cishek, 31, has had a few ups and downs at times in recent years and has played with four organizations in the past three seasons. For the most part, though, he has continued to function as a quality setup option. 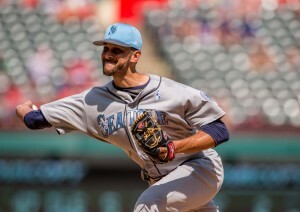 In the 2017 campaign, Cishek opened with the Mariners and ended up moving to the Rays via mid-season trade. With an excellent push down the stretch in Tampa Bay, he ended the season with 44 2/3 innings of 2.01 ERA ball and 8.3 K/9 with 2.8 BB/9. As usual, Cishek was tough to square up; he permitted just 26 base hits and three total home runs on the season. Those results came despite a notable velocity drop from Cishek, who delivered his two-seam fastball at less than 91 mph for the first time in his career. His slider came in eight ticks slower than it did in his debut season, continuing a trend, though it also gained horizontal movement. The sidearming Cishek will offer a different look out of a re-worked Cubs pen. He joins Brandon Morrow as multi-year free agent additions for Chicago thus far. It still seems likely the organization will look for additional pieces over the coming weeks. The Twins are sending signals that they’re serious about their pursuit of free agent righty Yu Darvish. As LaVelle E. Neal III of the Star-Tribune writes, skipper Paul Molitor says the organization has “targeted [Darvish] as somebody we have tremendous interest in.” That follows prior public indications of interest from GM Thad Levine, who, as Mike Berardino of the St. Paul Pioneer-Press examines, has a longstanding relationship with Darvish. That piece is well worth a full read, if only for Berardino’s enjoyable chat with catcher Chris Gimenez, who worked closely with Darvish with the Rangers and has played most recently with the Twins. Meanwhile, the Twins are also among the teams looking into righty Steve Cishek, according to Berardino (via Twitter). The sidearmer has been left as one of the top remaining free-agent setup men after a spate of signings at the Winter Meetings. He finished the 2017 season on a strong run with the Rays. The Orioles have at least checked in on Pirates ace Gerrit Cole, according to Bill Brink of the Pittsburgh Post-Gazette. Certainly, Baltimore isn’t the only organization that would love to add Cole, whose name has arisen in chatter a few times in recent days. Whether the Bucs are really ready to deal him isn’t entirely clear; neither is it certain just what the club would seek in return. Yesterday, though, Buster Olney of ESPN.com gave perhaps the clearest indication yet that Pittsburgh may be prepared to strike an agreement, tweeting that there’s a belief from some around the game that Pittsburgh would pull the trigger if the right deal came across its desk. Mariners GM Jerry Dipoto says his team is in the “red zone” on a deal, likely for a reliever, in an appearance on MLB Network Radio on Sirius XM (Twitter link). Jim Bowden of MLB Network Radio tweets that Juan Nicasio is a “strongly rumored possibility,” though clearly that’s not a firm connection at this point. And it’s certainly worth noting that the M’s have, in fact, struck agreement on a trade since Dipoto went on the air — though it’s not clear whether the minor acquisition was the one he was referring to. Perhaps Dipoto was giving a nod to that swap, but it’s also possible there’s a more significant move still in store. Regardless, the M’s are clearly focused on pitching, as Dipoto has made clear and TJ Cotterill of the Tacoma News Tribune reports. The Astros are weighing a reunion with lefty Francisco Liriano, according to Jake Kaplan of the Houston Chronicle (via Twitter). Long a starter, the 34-year-old was added by the ’Stros at the 2017 trade deadline and moved into a relief role. He did not exactly thrive in that job initially, allowing seven earned runs and posting an ugly 11:10 K/BB ratio in his 14 1/3 frames over twenty appearances. Liriano will presumably also draw some looks from organizations that would propose to give him a shot at rediscovering his form as a starter. Another lefty, Tony Watson, is a possible target for the Athletics, according to Susan Slusser of the San Francisco Chronicle. The 32-year-old has plenty of late-inning experience and finished strong after a mid-season swap to the Dodgers. In twenty innings with L.A., Watson posted a 2.70 ERA with 8.1 K/9 and 2.7 BB/9. The Yankees have shown interest in Pirates ace Gerrit Cole, Jon Heyman of Fan Rag tweets, but have been left to believe that Cole won’t be moved. Pittsburgh’s intentions for the winter have never really been clear, with a few notable veterans nearing free agency but a core in place that might still contend in the near term. Presumably, the Bucs are still weighing their options. If a Cole deal is considered, it’s not entirely certain whether the team would prioritize long-term prospect value or prefer instead to bring back controllable assets already playing at the MLB level. While the 27-year-old was less than dominant in 2017, he was able to top two hundred frames and averaged a typical 8.7 K/9 with 2.4 BB/9. The asking price, in other words, will likely still be lofty for a pitcher with a front-line reputation. If the Yankees are serious about pursuit, they’d surely have some interesting pieces to dangle. The Royals are willing to consider trade scenarios involving closer Kelvin Herrera, Joel Sherman of the New York Post reports. Righty Joakim Soria is also available via trade, per a report from ESPN.com’s Jerry Crasnick (via Twitter). That doesn’t rate as much of a surprise given the team’s relatively hefty payroll and questionable chances of contention. Indeed, recent indications are that some sort of rebuilding effort could be in the works. Herrera is coming off of a middling campaign, but also has a history of late-inning success and is projected to earn a relatively palatable $8.3MM in his final season of arb eligibility. Soria, 33, only carried a 3.70 ERA in his 56 frames in 2017, but did post a healthy 10.3 K/9 against 3.2 BB/9. He’s slated to earn $9MM in 2018 and is also promised a $1MM buyout on a 2019 mutual option. Despite some cautionary comments from GM Sandy Alderson yesterday, the Mets are giving indications that they will land at least one reliever over the Winter Meetings, Sherman reports on Twitter. But it’s more likely the team will secure a shorter-term asset than one of the premium setup men they’ve been connected to in the past, he adds. Righty Steve Cishek is one pitcher that has drawn New York’s attention, per Marc Carig of Newsday (via Twitter). 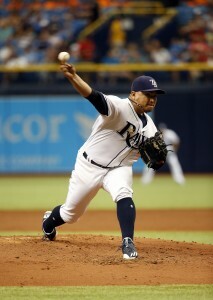 The veteran sidearmer finished 2017 with a strong run for the Rays, posting a 1.09 ERA with 9.5 K/9 and 2.6 BB/9 in his final 24 2/3 innings after coming over from the Mariners over the summer. As the Nationals look into possible bullpen additions, the club could consider free agent Hector Rondon, Jorge Castillo of the Washington Post reports on Twitter. Washington was among the teams that spoke with the Cubs about Rondon before he was non-tendered. The Nats and others obviously were not willing to risk an arbitration hearing with a player who projected at $6.2MM, but presumably there’ll be fairly wide interest at a lower price tag. Though he faded a bit in 2017, Rondon still carried 10.8 K/9 and 3.1 BB/9 while maintaining his typically robust fastball velocity and also showing career highs in swinging-strike (11.9%) and groundball (48.3%) rates. The Marines and Rays have announced a swap of right-handed pitchers, with Erasmo Ramirez heading back to Seattle and Steve Cishek going to Tampa Bay in return. Seattle will reportedly also send $1MM to Tampa Bay to help account for the differences in the salaries of the two players. Cishek is earning $6MM this year before reaching free agency, while Ramirez carries a $3.125MM annual salary and can be controlled for two more years via arbitration. Both teams are pressing for a postseason berth — indeed, they could end up fighting one another for Wild Card position in the American League. This deal, then, appears mostly to be a lateral move designed to meet the particular needs of each organization. Ramirez, 27, has functioned as a swingman for the Rays since coming over from Seattle before the 2015 season. Now, he’ll head back to his original organization to provide another rotation option. He’ll also represent a potential part of the staff through 2019. While Ramirez carries only a 4.80 ERA on the year, and has worked mostly from the pen over the past two campaigns, he has mostly been himself in 2017. The positive areas (7.1 K/9, 2.1 BB/9, 48.6% groundball rate) are on par with Ramirez’s career figures, and the problems (1.30 HR/9) are familiar. His velocity and swinging-strike rate sit right at career averages. If and when his 63.8% strand rate normalizes, Ramirez will likely settle back into being a useful back-end starter or solid long-relief arm. And that’s what the M’s will need from him to stay in contention down the stretch. Seattle has cycled through starters for much of the year and still has an uncertain rotation mix. It’ll be interesting to see whether the club continues exploring the market for starters. Of course, that came at a cost, as the Mariners will sacrifice a solid late-inning option in Cishek. That’s just what the Rays have been searching for, with the team perhaps more willing to part with Ramirez with a variety of rotation options at or near the MLB level. Since returning from hip surgery, Cishek has given the Mariners twenty frames of 3.15 ERA ball. But there are some worrying signs when you look below the surface. Cishek has managed just 6.8 K/9 on a career-low 7.5% swinging-strike rate. His velocity has dropped significantly. And he’s permitting 1.35 homers per nine on a 23.1% HR/FB rate. Despite the concerns, the Rays will hope that Cishek can continue to be a force against right-handed hitters. He has always been less effective against southpaws, and perhaps now more than ever will be best utilized situationally, but the Rays have enough late-inning options that they won’t need to use Cishek in a strictly defined role. Jon Morosi of MLB.com (via Twitter) first said the deal was close, with MLB.com’s Mark Feinsand (Twitter link) adding that it was Cishek who’d go in return for Ramirez. Bob Dutton of the Tacoma News Tribune suggested on Twitter that the swap was fully agreed to, while ESPN.com’s Jerry Crasnick (Twitter links) had the financial element. The Dodgers have updates on a number of players. Lefty Rich Hill is going to return as a starter, but if his blister issue recurs then the team will consider moving him into some kind of relief role, manager Dave Roberts tells MLB Network Radio on Sirius XM (Twitter link). The timeline remains a ways off for outfielder Andre Ethier, meanwhile. He’s still not able to run without feeling pain in his back, Andy McCullough of the Los Angeles Times reports, making it seem unlikely he’d be able to return early July. Finally, first baseman Adrian Gonzalez is expected to begin a rehab assignment next week, Alanna Rizzo of Sportsnet LA tweets. He may only require two or three games before returning. On the other side of the city, the Angels are sending righty Andrew Bailey for a visit with Dr. David Altchek, as Pedro Moura of the Los Angeles Times tweets. The reliever “felt something” in his shoulder during a recent throwing session. Shoulder issues have kept him on the DL all year. Further north, the Giants have cause for hope that closer Mark Melancon will require only the brief DL timeline the club had charted when he was taken off the active roster. As Henry Schulman of the San Francisco Chronicle reports on Twitter, Melancon is reporting reduced symptoms in his forearm. The righty will test things out by playing catch tomorrow. Continuing up the coast, the Mariners also have a smattering of health updates of note, as Bob Dutton of the Tacoma News Tribune reports. 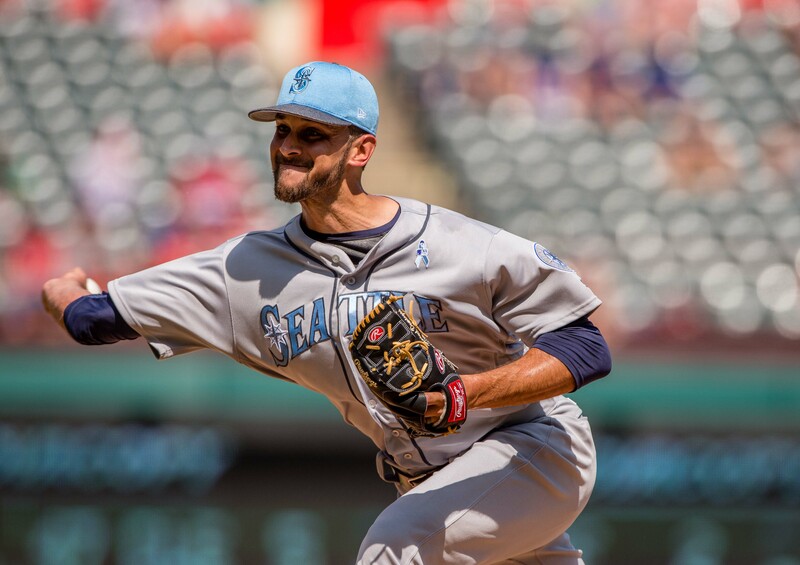 Key young talents James Paxton and Mitch Haniger are moving in the right direction, with the hope still being that they’ll return before the month is out. Reliever Steve Cishek is also close. But Felix Hernandez is going to rest his ailing shoulder a bit more, leaving his timeline somewhat cloudy, and it’s still not clear what to expect from Hisashi Iwakuma. Indians righty Corey Kluber is moving slowly in his rehab, Ryan Lewis of the Akron Beacon Journal reports. Out with lower back issues, Kluber has begun throwing from flat ground but still hasn’t taken the hill. Manager Terry Francona did say that the team is seeing progress, though perhaps the biggest test is yet to come. Rockies staff ace Jon Gray is also taking longer than had been hoped, as Nick Groke of the Denver Post writes. Gray is still in a walking boot while his broken left foot heals, though the hope seems to be he’ll be ready to shed that soon. While Gray has been able to continue throwing, he’ll obviously need to boost his conditioning and ensure his foot is at full health before undertaking at least some kind of rehab assignment. A day after placing Aaron Sanchez on the DL, the Blue Jays might have lost another starting pitcher today — J.A. Happ will have an MRI after leaving today’s game with elbow trouble, as Sportsnet’s Arden Zwelling and other reporters have noted. “I felt kind of a pull, a tug in my elbow,” says Happ. “And then I went back out there for the fifth and it just got progressively worse.” A significant injury to Happ would be yet another blow to a Blue Jays team that is already off to 2-10 start that had already led to whispers that the team could be sellers on the trade market this summer. Here are more notes on injuries. Braves catcher Tyler Flowers is day-to-day with a strained hamstring he noticed during Sunday’s game, as MLB.com’s Mark Bowman notes. “We’re going to re-evaluate him tomorrow and see where we’re at. Hopefully it’s nothing real serious, because he’s swinging that bat real well,” says Braves manager Brian Snitker. The Braves will wait to decide whether to place Flowers on the DL. In Flowers is out for awhile, Kurt Suzuki will start and Anthony Recker will back him up. Both are already on the Braves’ active roster. Mariners infielder Jean Segura and reliever Steve Cishek are close to returning from injury, writes MLB.com’s Greg Johns. Segura has been doing some supervised running to test his ailing hamstring, and hopes to return on Friday, when is when he’s first eligible to come back after going on the DL last Tuesday. Cishek, meanwhile, is beginning a rehab assignment with Double-A Arkansas. Cishek is still making his way back after having microfracture hip surgery last October.